Martyn Flowers was born in Joliet, Illinois on June 16, 1961. He and his brother Ray were the only children of Odell And Rosetta Flowers. Martyn made his transition on February 18, 2018 surrounded by his family. Martyn accepted Christ at an early age while attending Second Baptist Church under the leadership of Rev. Morris Smith. He served with the youth group under the leadership of Mrs. Elsie Smith. Martyn was educated in the Joliet Public and Catholic schools. He graduated from Judson College with a major in sociology and a minor in Psychology. He had extensive training in the areas of the mentally retarded and the geriatric population. He was employed by the Joliet Public Schools, District 86, for many years. On June 21, 1986, Martyn married Linda Faye Richards, whom he met through his cousin Andre Brookins. From this union he became the father of three daughters and the grandfather of three grandson and two granddaughters. Martyn is preceded in death by his father, Odell Flowers; his maternal grandparents, Sam and Addie Brookins; his paternal grandfather, J.D. Flowers; and two cousins, Andre Brookins and Jeffrey Flowers. He leaves to cherish his memories his wife of 31 years, Linda Flowers; three daughter, Caborsha Flowers, Kesha Flowers and Krystal Flowers; two granddaughters, Nyerra Campbell and Harnony Flowers; three grandsons, Ameer Smith, Tyrell Flowers and Daryl Cox Junior; his mother, Rosetta Flowers; one brother, Ray Dell Flowers (Mary Jean); his grandmother, Nellie Davis; one nephew, Rafael Flowers; and one niece, Jasmine Flowers; a host of cousins, and his wife’s family who loved him dearly. 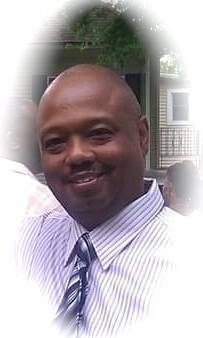 Martyn’s homegoing services will be held at Second Baptist Church, 156 South Joliet Street, Joliet, Illinois 60436. Visitation 10:00am – 11:00am. Funeral Services at 11:00am. Interment at Woodlawn Cemetery, 23060 W Jefferson St, Joliet, IL 60431. Reverend Larry V. Tyler, officiating.